Skholiast over at Speculum Criticum Traditionis has been kind enough to write up his thoughts about my take on transcendental realism. I’m very grateful to him for taking the time to read the essay in detail, and so it’s only right that I link to it (here). He seems to have got me mostly right too. I would like to clarify one little thing though, just as a matter of emphasis. A big part of my paper is defining a position which I call deflationary realism, which I take to be exemplified in different ways by Quine, McDowell, and David Lewis, and to be explicitly articulated by Brandom. The key point of this position is that it takes the notion of ‘real’ used in classical metaphysical debates to not be doing any useful work, and thus deflates this notion from a ‘thick’ to a ‘thin’ one, whereby metaphysical questions about the world become questions about how we think and talk about the world. Brandom’s way of cashing out this position shows how it can do this without collapsing into idealism, by taking there to be two different kinds of dependence relations that there can be between the structure of the world and the structure of thought: sense-dependence and reference-dependence. Jon Cogburn has talked about this before on his blog (here). In essence, if P is sense-dependent upon Q, then one cannot understand P without understanding Q, and if P is reference-dependent upon Q, then there cannot be P without Q. The former is a kind of epistemological dependence, whereas the latter is a kind of ontological dependence. Brandom’s insight is that one can have sense-dependence without reference-dependence, and this means that he can claim that the structure of the world and the structure of thought are reciprocally sense-dependent without holding that they are in any way reference-dependent. Deflationary realism can hold that the structure of the world and the structure of thought are isomorphic, and yet that there could be a world without thought, thus avoiding classical idealism. Transcendental realism, as I see it, modifies this deflationary position by breaking the reciprocity of sense-dependence. Skholiast has me totally right here. The only thing I want to add is that the way the reciprocity is broken can look counter-intuitive, but it is really unproblematic. Instead of claiming that one cannot understand the structure of the world and the structure of thought in isolation from one another, the transcendental realist takes it that we cannot understand the structure of the world without understanding the structure of thought, but that we can understand thought without the world. This means that the world is sense-dependent on thought but not vice-versa. This is fine, because what it means is that there is more to the structure of the world than the structure of thought, i.e., that there are real metaphysical questions that are more than simply logical or semantic questions. This is a proper realism. However, if one were simply to look at the direction of the dependence relation, one might conclude it had more in common with idealism. I normally don’t post images on the blog, but I’ve just realised that I now have some diagrams of my own to put up. Here’s the two diagrams from my essay, suitably inverted to match the decor, just to wet the appetite of anyone who hasn’t taken a look at it yet. First, the outline of my taxonomy of truth. 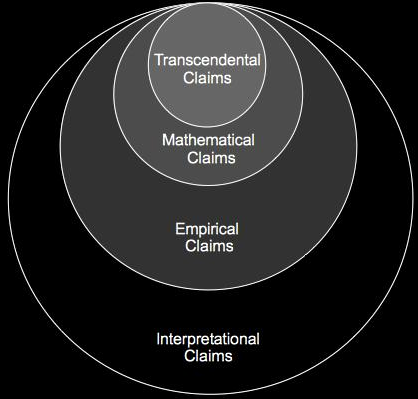 Second, my partitioning of the set of truth claims (i.e., those things we take to be true). Greetings to all. It’s a bit late for an update, but, as others have already noted (here and here), the Transcendental Realism Workshop that happened last week went very well. I was most pleased with the way the various papers fitted together. A number of important issues recurred throughout the whole day: the relation between metaphysics and science, the nature and importance of rationality, the structure of concept revision, the interface between the natural and the normative, the role of the social in the structure of knowledge, and the significance of Kant’s philosophy. As Dave Allen has pointed out, one of the most heartening things about the day was the that the great divide between Continental and Analytic philosophy was notable only by its absence. There was no attempt to bring one to the other, but simply a willingness to work as if the boundaries were not there. I won’t comment too much on individual papers, as I’ll let those of you who’re interesting hear (or read) them for yourselves. We have the audio for the first three papers (Tom‘s, Reid‘s, and mine), but not for any of the others. Reid and Tom should provide revised electronic copies of their papers at some point (I believe). James Trafford didn’t want to make his paper available, as it is going to form part of his book for zerO on revisionary naturalism. It was an interesting paper, so we’ve got lots to look forward to there. Nick’s paper is available below in electronic form. Unfortunately, we forgot to set up the mike for Ray’s talk, which is a testimony to how extremely tight the schedule was, and how stimulating the inter-talk discussion was. Doubly unfortunately, his presentation was given from notes, and so I can’t even give you all an electronic copy. To give you a brief low-down, he gave a fascinating introduction to Sellars as the best kept secret of 20th Century philosophy. He presented him as something of the Captain Beefheart of philosophy – nobody reads him, but his influence is everywhere. He also presented him as trying to make good on the promise of Kant’s philosophy. The importance of Kant’s work was something which hung over the whole workshop, and when I came to revise my paper to put it online it stuck with me. I was unhappy with the final argument of my paper, and so my initial intent was only to extend that particular section. However, this turned into over a weeks worth of work (which is part of the reason for the delay), extending the paper into something more like a small treatise on transcendental realism, and the possibility of radicalising Kant’s philosophy. Given that Graham has just posted about the datedness of Kant’s work (here), I think it fitting to post this extended essay as a systematic rebuttal of sorts. The essay contains the original paper (although somewhat extended), but also contains a large section working out the consequences of the argument for transcendental realism it provides. This recapitulates a lot of thoughts I’ve laid out on the blog over the last year, but in a more systematic and polished form. It’s far from a finished piece. It points in the direction of a larger project, but it provides a very good overview of this project, which reveals what I believe to be its philosophical depth and systematic scope. For anyone who finds the argument of the audio version wanting (as you should) and anyone who wants to know where I intend to take it (as I’d like to think you should) I strongly recommend giving this a read. It also contains a stripped down but fairly incisive critique of both Meillassoux and Graham, which I think many of you will find enlightening. However, it is rather long (24,000 words or so), thought it should be quite easy to read in parts. Hello all, the Transcendental Realism workshop is on tomorrow. I’m busily finishing my paper, and the some of the speakers will be congregating later today (in my house). This post is primarily a series of brief announcements for those who both read my blog and might be turning up, followed by a little excursion on something related to my paper. First, the running order of the speakers hasn’t been decided yet (apart from Ray, who will be on last). We should have it up tonight though, once we’ve had a chance to talk it through between us. However, whichever way it turns out, it’s going to be a tight schedule. Registration begins at 12:00 in LIB2, so there’s a bit of time to mill about and chat beforehand, and the first talk starts at 12:30. We’ve then got 5 talks, each of which is 30 minutes + 15 minutes of questions, to squeeze in between then and 5:00pm. This means that we’ve only got time for one measily break of 15 minutes during that time. At 5:00pm there’ll be a 30 minute break, where we’ll shift rooms to to S0.11, which is quite close. Ray’s talk will then begin at 5:30, and you can expect it to go on till 7-7:30. All of this means that there will be precious little time for grabbing food, so I recommend getting yourself some food before you get here (or during the registration period, from the library cafe around the corner). We should be heading for food an drinks afterward Ray’s talk, depending on where will accommodate us. Second, I’m still writing my paper, and it’s currently a bit long. This means it might have to be a bit dense to fit into my timeslot. I’ll do my best to make it as comprehensible as possible, but, if you wanted to do a bit of preparatory reading, I’d recommend Meillasoux’s presentation at the original SR conference, published in Collapse III. As well as tackling Meillassoux, I’ll be taking you on a whistle stop tour through analytic metaphysics (Quine, McDowell, Blackburn, Lewis, Price and Brandom), and even taking some time to talk about Hegel’s concept of natural consciousness from the introduction to the Phenomenology of Spirit. It should be very interesting, if I can squeeze it all in. 2. What does ‘real’ mean? Vs. What is the real? I suppose you could take the eliminativist route and claim that the sensual objects don’t necessarily exist in any sense (this seems to be the heir of Russell’s response to Meinong). 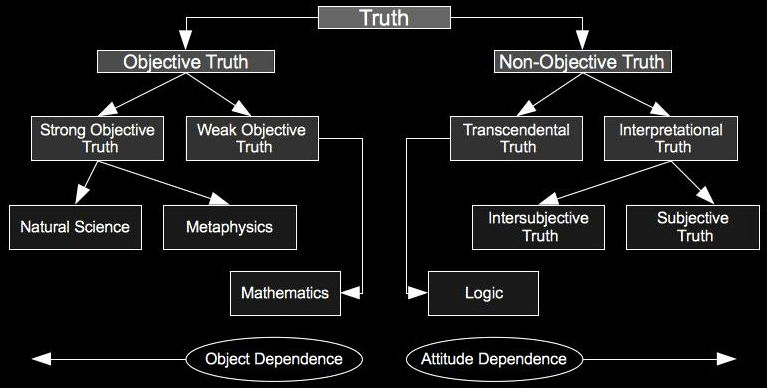 But the problem with eliminativism, as I see it, is that it makes no room for real objects at all. Its sense of realism is that of scientific realism, and so there isn’t any concept of withdrawal there. The difference between real and unreal, for that position, is is simply a difference between realimages and scientific images. It is a mere metaphysics of images, despite all its huffing and puffing about reality. You can see this in Ladyman and Ross, and you’ll also see it this summer in Brassier’s piece in The Speculative Turn, which takes a few digs at the “metaphysical” distinction between real and sensual, demands “criteria” for distinguishing between real and unreal, and neglects to admit that it has already made a metaphysical decision by assuming that all that’s at stake is the development of criteria for calling some images Bad Folk Images and others Good Scientific Images. But philosophy is not just about images, and the sense of the real in scientistic philosophy is generally quite feeble. These positions collapse into pragmatism or instrumentalism at the slightest touch. “Realism” for them really just means: using science to beat up unscientific people. The real is never addressed at all. Now it may come as a surprise that I have a certain amount of agreement with Graham here. The main point of the paper I’m going to give tomorrow is that most forms of realism don’t know what they mean by ‘real’. The only form that I think has a good idea of what it means is what I call deflationary realism. Deflationists point out that classical realism wants to deploy a thick sense of ‘real’, but that it doesn’t know what it means by it, and so in response they propose a thin sense of real. This thin sense of real is usually indexed to truth. So for example, whereas the platonist (a local realist) says numbers really exist, and the nominalist (a local anti-realist) says numbers don’t really exist, Quine (the deflationist) comes along and says that the ‘really’ doesn’t make any sense here. Quine says that if we take there to be true statements in which we quantify over numbers, then we’re committed to their existence. If it is true that ‘there are infinitely many primes’ then numbers, and more specifically prime numbers, exist. This makes the question of whether numbers exist a completely trivial matter. So, yes, deflationists have a fairly feeble notion of ‘real’, but they’re pretty explicit about it. However, there are many others who have quasi-deflationist positions which are very problematic (I’d even go so far as to say inconsistent). However, I’m not sure that Graham has the high ground here. Yes, like many other classical realists he has an account of what the real is. I just don’t think he’s got any better an idea of what ‘real’ means. This is the difference between having an account of what the real is, and having an account of what it is to have an account of what the real is. This is analogous to the difference between knowing who the president of the united states is, and knowing what it is for someone to be president of the united states. It’s perfectly possible to know that Obama is president, and nonetheless have a hazy idea of what this means. I think there’s a fairly simple way to demonstrate this point. If we take ‘real’ to mean ‘that which is radically independent of thought’ in such a way that this is equivalent to ‘that which withdraws’ in Graham’s sense, rather than simply to be ‘that which withdraws’, then the concept is not sufficiently broad to perform two different functions that it’s required for. First, it is required to distinguish between real objects that withdraw and the sensuous objects that don’t. It does this adequately. However, it is also required to describe precisely what such a distinction is doing. We need to be able to say that this distinction is getting at the real metaphysical structure of objects. As I’ve mentioned in previous posts (here and here), Graham thinks that the real properties of each object are unknowable (except through allusion), insofar as they withdraw, but he nonetheless thinks that this very fact (which is not a fact about any given object, but about objects qua objects) is knowable. This means that the second use of real cannot be equivalent to ‘that which withdraws’, because it would automatically disqualify the possibility of such metaphysical knowledge (in effect, we’d be back in correlationist territory). Now, this second use of ‘real’ is necessary in order to delineate the task of metaphysics. Specifically, it is necessary in order to counter deflationism and positivism. When the deflationist says “there is nothing more to the structure of objects than our talk about the objects”, and when the positivist says “there is nothing more to objects than decreed by science”, Graham must be able to turn around and say that no, there is a real structure of the object in excess of either, and it involves withdrawal. As such, I don’t think that Graham is in a much better position than scientific realists, and I certainly don’t think he’s entitled to claim that he’s more of a realist than they are. Anyway, there will be more on this problem tomorrow. Back to writing my paper!